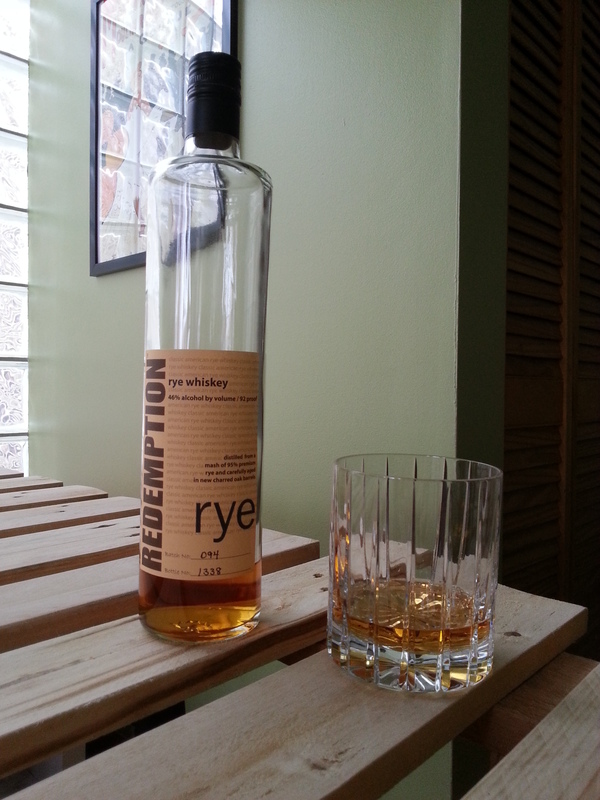 Bourbon education review #3: Redemption Rye. Overall I really enjoy this whisky and for around $30 I think it’s a great deal. This is, obviously, a rye whiskey, but meets my criteria of being aged under 4 years, and completes my intro to young bourbon education. I’m really excited to get into some of the more mature bourbons and see how the flavors develop and mellow with more time spent in the barrel. I’ve had bottle of Redemption Rye before, but only recently read up on where they source their distillate from. This comes from LDI in Indiana, the same company that sources the blends for High West. It would be great to do a side by side comparison of Redemption and the High West rye offering to see what aging does to the distillate. Redemption is a great sipper as well as a good mixer. I have enjoyed it in a boulevardier as the spiciness adds great depth to the cocktail. This is also a great base for Manhattans, and let’s the rye really shine. I recommend this as a great start for young high rye bourbons. This entry was posted on Saturday, March 8th, 2014 at 1:09 pm	and tagged with American Whiskey, Beer reviews, bourbon, Inc., LDI, Redemption Rye and posted in Alcohol Reviews, bourbon, Whiskey. You can follow any responses to this entry through the RSS 2.0 feed.